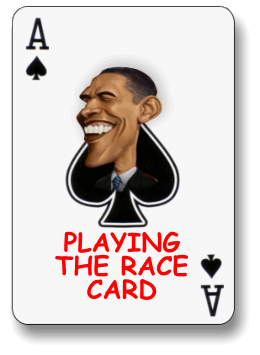 “[Barack Obama] got reelected only cuz of his race. People felt sorry 4 black man.” This is how Black Republican Crystal Wright of the blog ConservativeBlackChick.com (a former guest on The Urban Politico's October 14, 2012 radio show "That's What's UP"), explained this year’s presidential election. Since November 6, I’ve heard so many ridiculous reasons for Obama’s re-election, but I think this one tops the list. We all know the Romney story: from trust fund to riches. Romney, who could never make a solid connection with voters -- because he never really knew where he stood, on anything -- was the Republican left standing in a pool of candidates who excelled in not getting “it.” But let’s be real for a second - President Obama was re-elected for a number of reasons, and not one of them is because people felt sorry for the Black man. Seriously. Almost 64 million people voted for Barack Obama because they felt for the Black guy? Word? What’s even more interesting is the day after Election Day, Wright (also known by her Twitter handle GOP Black Chick) penned an essay pointing out reasons for the GOP's failures. Most of them addressed the party being out of touch and refusing to acknowledge a national constituency that more and more does not look like our nation’s founders. In her piece entitled "Republicans Got the Shellacking We Deserve," Wright points out that the Republican National Committee was not interested in investing in Black voter outreach. She calls the party’s thinking "backward" and points out how it does not even have so much as one Black person working in its Communications department. The thing I find most endearing and fascinating about many Black Republicans is their willingness to race-bait. There’s sheer irony in a Black Republican saying Obama got on due to his race when it’s not far-fetched to think that Black tokenism played a significant role in their own success of being a novelty in politics. In fact, that's exactly how Wright markets herself. Wright’s delusional tweet falls right in line with the Republicans' on-going game of “let’s see who can say the craziest stuff and keep a straight face.” And, to be fair, the rest of the tweet reads “& #gop ran weak candidate.” Because no matter the number of things we see differently, we can all agree that Romney was a horrible candidate for the GOP, but a great one for Obama supporters. It should be noted that The Urban Politico contacted Conservative Black Chick for comment, but she declined.